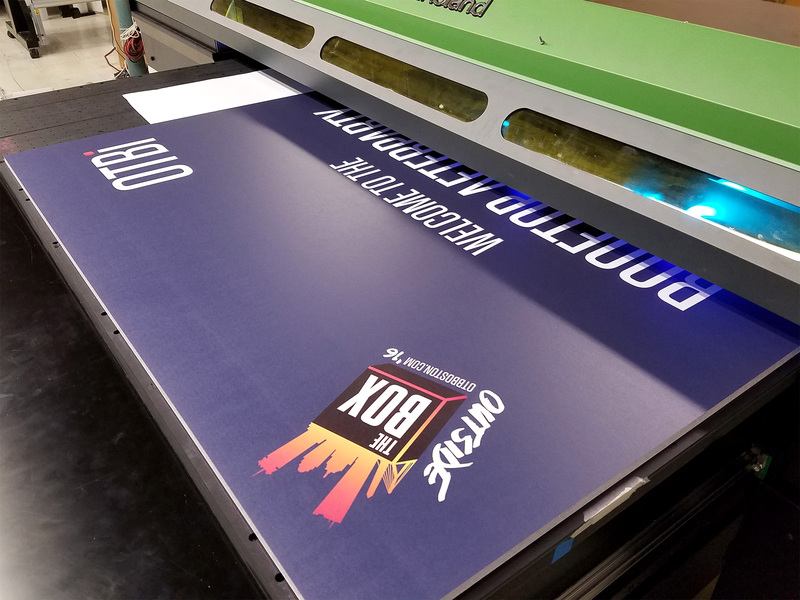 Flatbed printing allows us to directly produce high-quality graphics on a variety of different material types and sizes. Materials once impossible for print–such as foamcore, aluminum, acrylic, wood, and even glass—can now be quickly and easily transformed by your design due to the advanced UV curing technology. 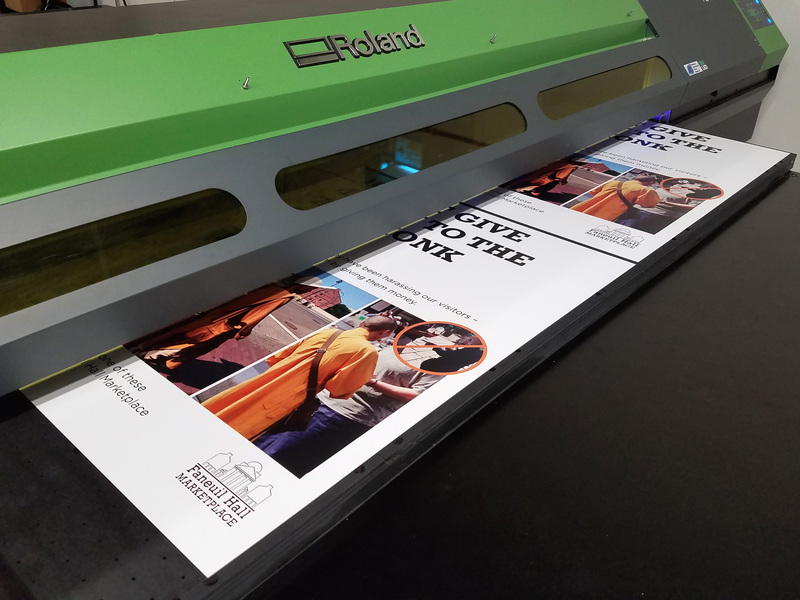 Additionally, substrates that are too thick or rigid for traditional solvent-based digital print methods can be customized by our printer that can accommodate materials up to 6” thick. Virtually any flat surface (5’x8’ in size) can be personalized to convey your unique message. Signage can be printed on the flatbed with incredible speed and detail thanks to the specific UV drying process. Your graphics will maintain their utmost fidelity for years, whether they are on POP displays, promotional products, one or two-sided signs, or more – the possibilities are nearly endless! While flatbed printing is perfectly suited for commercial signage (retail spaces, event signs, hospital instruction boards, window branding, etc), it can adapt to suit many custom projects, such as custom tabletop designs, instrument case art/branding, and stunning mirror and window images.